Kroy labels make freezer-grade labels that are layered with durable freezer adhesive that will protect the label from harsh environments while maintaining their stick. They are perfect for deep freeze, frozen, chilled environment, or if you need a stronger adhesive than normal. 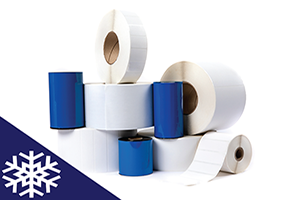 Labels with Kroy’s freezer grade adhesive stick as low as negative 40 degrees. 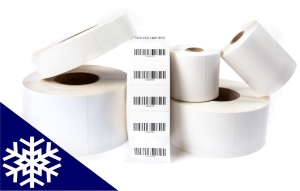 These labels are compatible with almost every thermal printer brand on the market.